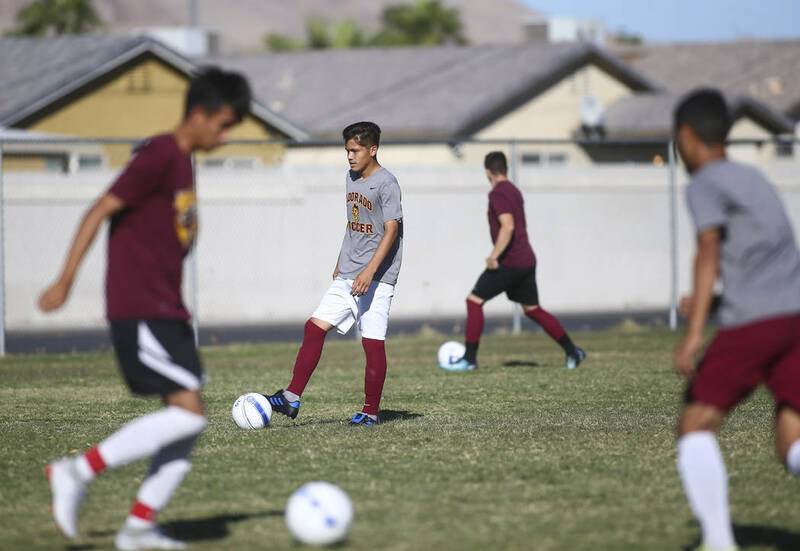 Eldorado doesn’t play in the rich suburbs of Henderson or Summerlin, but a part of town people like to forget about when it comes to sports. 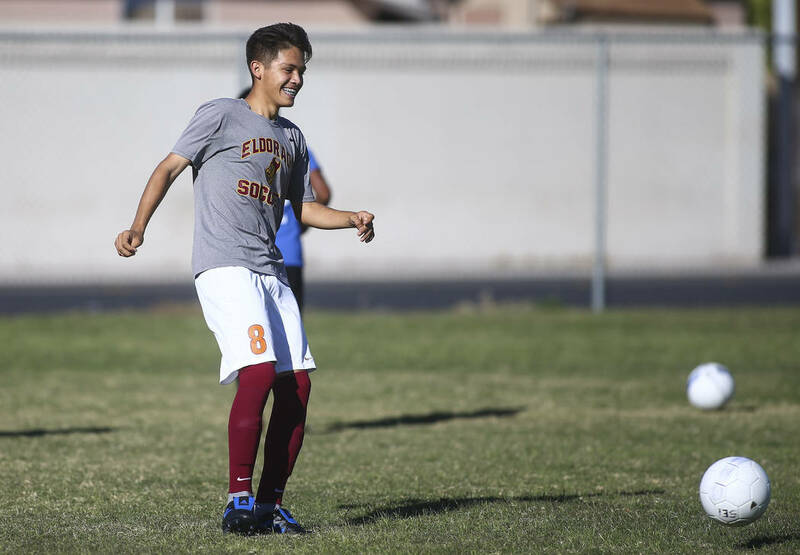 But as the postseason begins, Eldorado and the rest of the northeast valley are looking to show soccer is high school sports’ great equalizer. 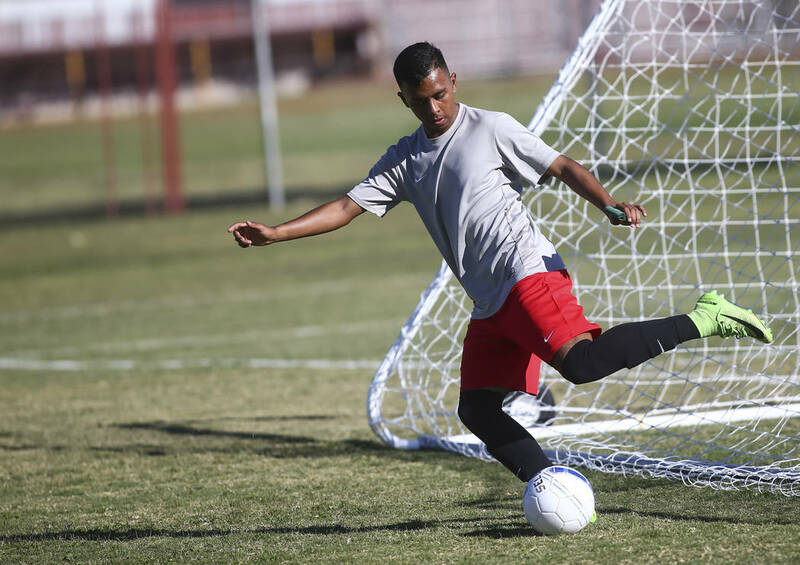 If you’ve not been paying close attention, the success of Eldorado’s boys soccer team this season may take you by surprise. The Sundevils at one point this year were ranked No. 8 in USA Today’s western region. 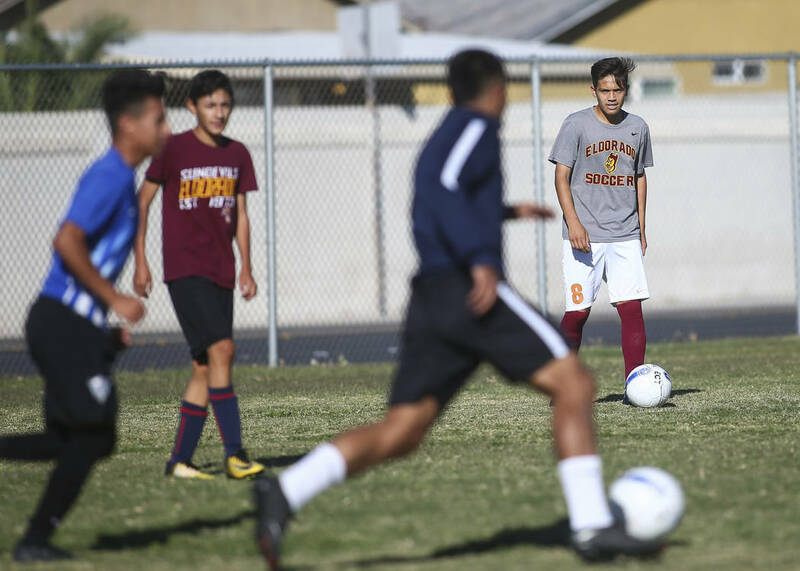 After falling to eventual state champion Coronado in overtime of last year’s Sunrise Region title game, they handed Coronado one of its two losses this season. Eldorado, Las Vegas, Rancho and Desert Pines are teams in the northeast looking to make a mark in a brutal Mountain Region. 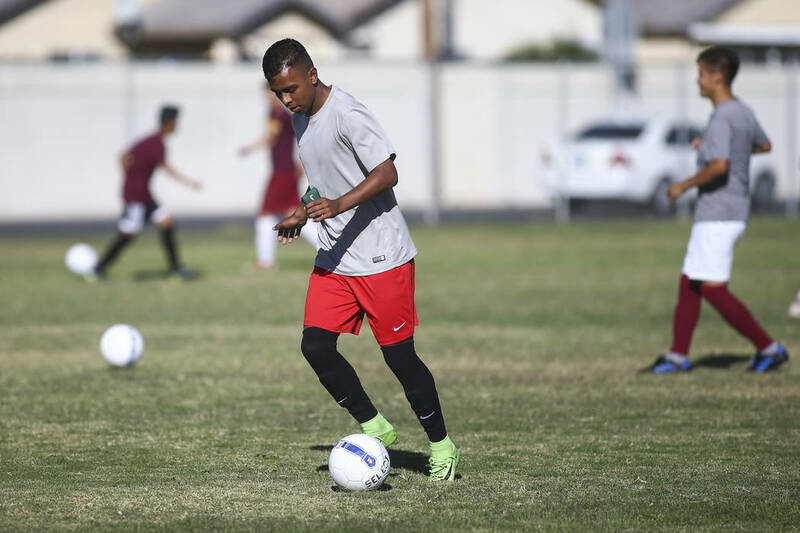 Palo Verde was nationally ranked by USA Today, and is in the region. So is Cimarron-Memorial, which beat Palo Verde. Bonanza has been excellent, giving more legitimate contenders than you can count on one hand. Class 3A is no different for the northeast. 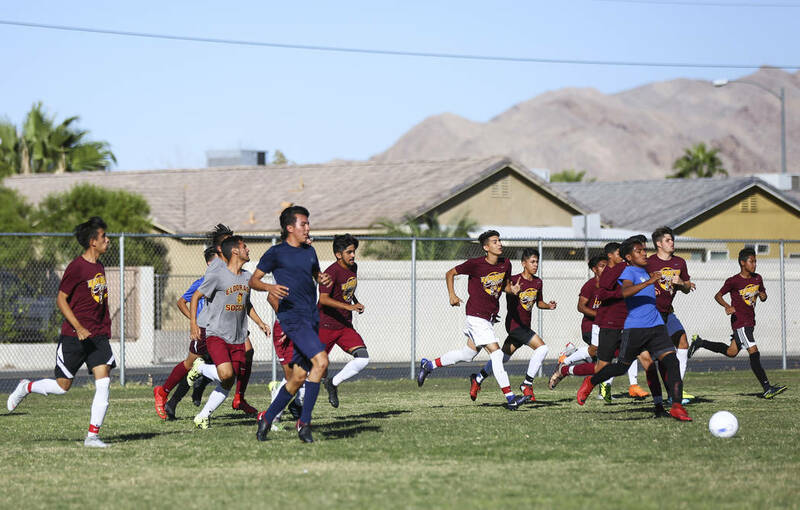 Sunrise Mountain has been the most dominant boys soccer team no one has heard of over the last five years, putting together a 80-8-3 record and winning the state title last season. The Miners have six wins over 4A teams this year, including a 3-2 victory at Eldorado on Sept. 20. Part of the reason for the region’s success is in its demographics. 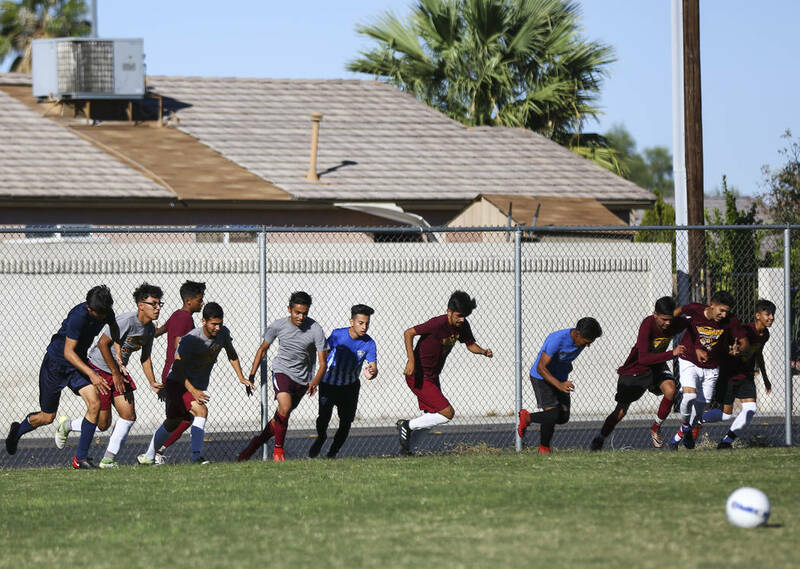 Sunrise Mountain’s student body was 76.7 percent Hispanic in 2017-18 according to state data, and Eldorado’s was 72.3. Desert Pines had the highest Hispanic population, Rancho was third, Western fourth and Las Vegas fifth. It’s no coincidence that all have terrific soccer programs. Soccer’s single-elimination schedule lends itself to chaos. The best team doesn’t necessarily win, which makes predicting a champion a fool’s game. But don’t be surprised if these next two weeks are a celebration of soccer in the northeast, and the student body that has soccer in its DNA. Tuesday — First round at host sites, 3 p.m.
Thursday — Second round at host sites, 3 p.m.
Tuesday, Oct. 30 — Quarterfinals at Bettye Wilson Soccer Complex, 4 and 6 p.m.
Thursday, Nov. 1 — Semifinals at Bettye Wilson Soccer Complex, 4 p.m.
Monday, Nov. 5 — Southern Nevada Championship at Rancho, 4 p.m.
Wednesday, Oct. 31 — Quarterfinals at Bettye Wilson Soccer Complex, 4 and 6 p.m.
Thursday, Nov. 1 — Semifinals at Bettye Wilson Soccer Complex, 6 p.m.
Saturday, Nov. 3 — Championship at Bettye Wilson Soccer Complex, 2 p.m.
Monday, Nov. 5 — Southern Nevada Championship at Rancho, 6 p.m.